Huawei P20 Lite and P20 Pro smartphones have been launched in India by the Chinese brand, which has already made a splash with its sub-brand Honor. Huawei P20 Lite price is Rs. 19,999, much more affordable than the Rs. 64,999 price tag of Huawei P20 Pro, whose USP is the Leica-powered triple rear camera setup. However, it is the former that is more likely to appeal to the masses, with its dual rear cameras, an AI-powered selfie camera, and a display that flows from edge-to-edge. This mid-range smartphone comes with 2.5D curved glass back with glittery textures that make it look classy and sleek. We found it easy to hold in one hand despite the large display up front. However, the black version that we used is an absolute fingerprint magnet. The vertically oriented dual-camera module is in the upper right corner of the rear of the Huawei P20 Lite. There's also a centrally located fingerprint sensor and a Huawei logo on the bottom right. The front of the phone is dominated by the 5.84-inch full-HD+ display that flows from edge to edge. It has an aspect ratio of 19:9 and a pixel density of 432ppi. Just like its more expensive cousin, the Huawei P20 Lite has a notch up front that is customisable, and thankfully quite small. In our limited time with the device, we found the display to be quite satisfactory, with vivid and punchy colours, and good viewing angles. The P20 Lite is powered by Huawei's own Kirin 659 processor which has been used for several Honor smartphones such as the Honor 7X, Honor 9 Lite, and Honor 9i. 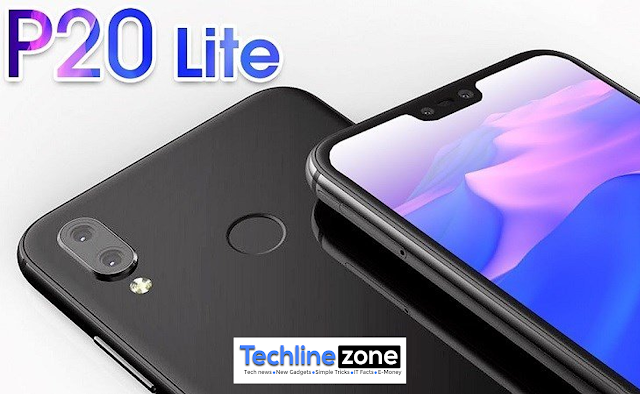 Other specifications include 4GB of RAM, 64GB of internal storage which can be expanded using a microSD card, and a non-removable 3000mAh battery. While it is too early to make a definitive assessment, the smartphone ran pretty smoothly during our initial hands-on, with fluid animations and minimal load times for first-party apps. We'll see how this phone performs in our full review, when we can run games and perform benchmarks. 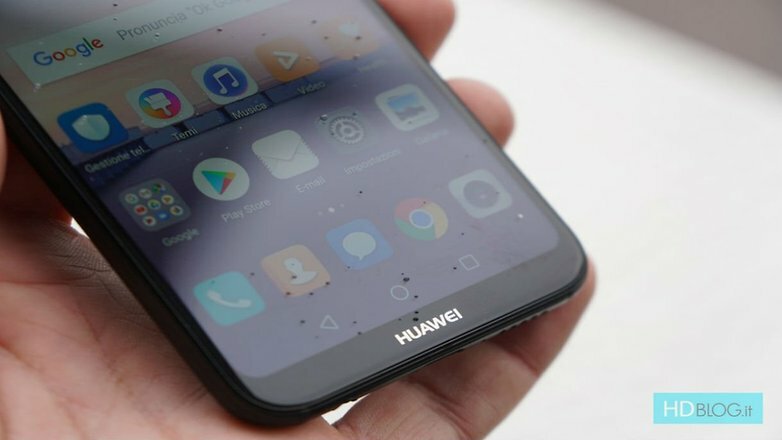 The P20 Lite runs Android 8.0 Oreo out of the box, with Huawei's EMUI 8.0 skin on top. EMUI has made massive strides over its past few iterations and is now lighter, cleaner, and noticeably faster. Most first-party applications were able to run without a hitch at the screen's 19:9 aspect ratio, with the area around the notch used to show the time and system status icons. The smartphone supports face recognition, which worked quite well in our limited experience, and we will test this feature further. As with most face recognition unlocking implementations, this phone relies on the front camera, and does not work in the dark. While the P20 Lite lacks the much-hyped Neural Processing Unit found in the P20 Pro, it still has a few tricks up its sleeve. The 24-megapixel camera up front features 3D facial recognition with 96 recognition points; a new beauty algorithm that modifies shadows, colour temperature and skin tone; and augmented reality effects in the form of selfie stickers. The P20 Lite can also take selfies with a bokeh effect using software algorithms. At the back, there is a 16-megapixel primary camera and a 2-megapixel secondary sensor for depth-of-field effects. While it is too early to make a definitive assessment of photo quality, the camera app seems quite feature-packed and promising. In our experience, the AR effects as well as facial recognition worked well. With an edge-to-edge display, a feature-packed camera app, classy design, and Android 8.0 Oreo out of the box, the Huawei P20 Lite looks set to be quite a promising mid-range smartphone. We will have to test it extensively to see how it fares against the competition. Stay tuned to Gadgets 360 for updates, as well as our detailed review of the Huawei P20 Lite.